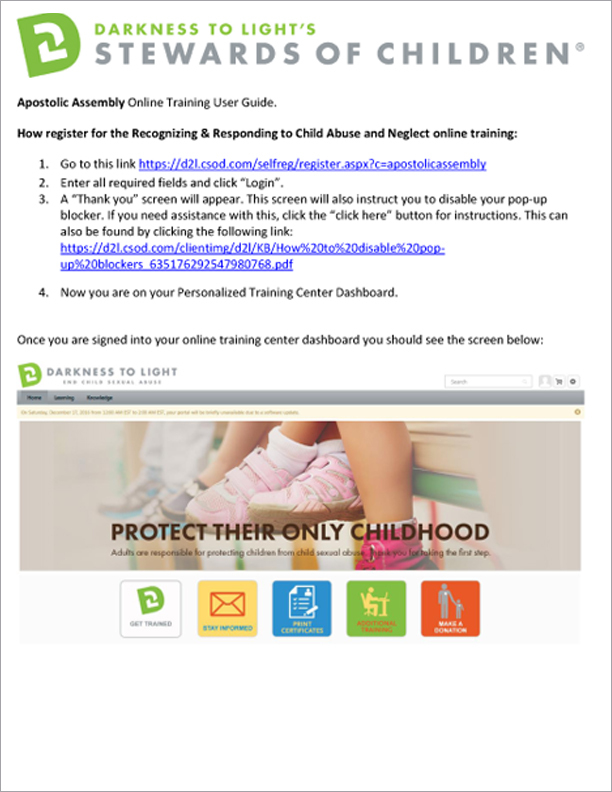 Thank you for your commitment to taking Darkness to Light’s Recognizing & Responding to Child Abuse and Neglect online child sexual abuse prevention training. 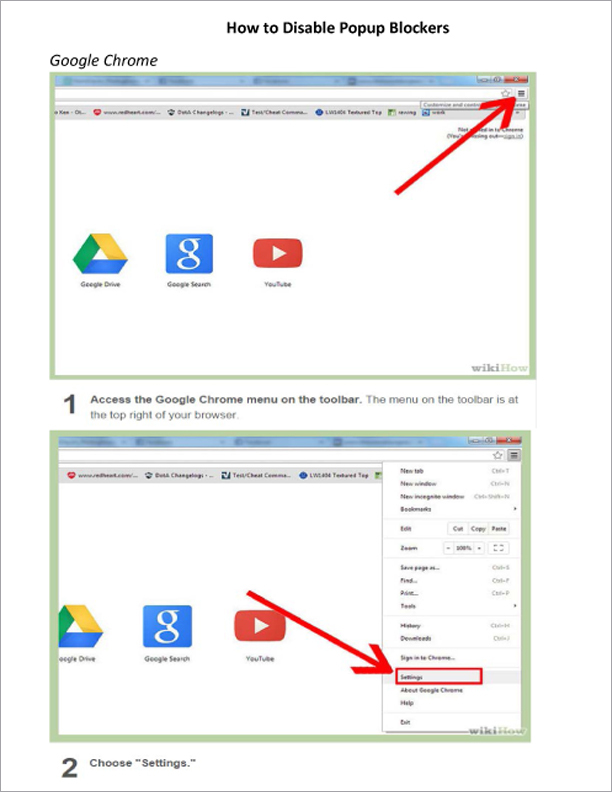 Attached you will find instructions on how to access your unique login page and create a user account, and how to take the online training. The training is one hour, contains a mix of survivor stories, expert advice, and practical guidance for prevention of child abuse. Child abuse is a tough topic. Some of the survivor stories may affect you in a personal way. These stories reflect the personal experiences of actual survivors. These are the experiences children face when they are abused, thus Darkness to Light choose to include them. There is a National Resource Sheet available in the resource section of the course with names and numbers of agencies that can help. Someone is available for you to talk to about any needs you have through the Darkness to Light helpline at 1-866-FOR-LIGHT (1-866-367-5444).